“What could possibly go wrong on two state-of-the-art battle ships led by one of Her Majesty’s most experienced and decorated officers?” writes Biswarup Sarangi. 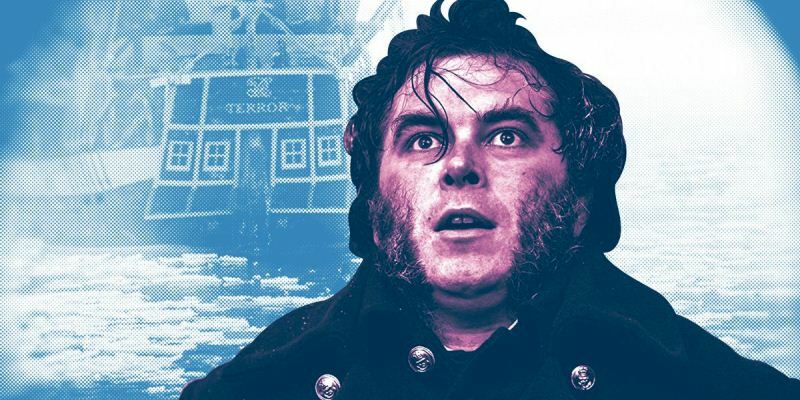 The Terror is a 10-part AMC miniseries, and the first noteworthy account of a high-stakes naval voyage gone horribly wrong since the much celebrated/maligned Titanic in 1997. For lovers of history, sea voyages and daredevil expeditions, this series is a long lookout from the lonely crow’s nest. We’ve had the one off Masters and Commanders (2003) with Russel Crowe but nothing as long drawn out and all immersive as The Terror. On the surface, The Terror is just a grim, dour, quasi-biographical account of a descent to insanity. A tale of 129 men who set out on two ships named HMS Erebus and HMS Terror to map the North West passage through the Artic region to China and India. A tale that could be scoffed at, if most of it were not true. While the production team for The Terror is American, authenticity for historical details is on par with James Cameron’s obsession with Titanic. The cast comprises mostly of British Actors who lend just the right of gravitas to the voyage. Ciaran Hinds (as Sir John Franklin, commander of Erebus), Jared Harris (as Francis Cozier, second in command of the expedition), Tobias Menezies (as James Fitzjames, commander of The Terror) are all uniformly exceptional. Also worthy of mention are Paul Ready (as doctor Harry Goodsir) and Adam Nagaitis (as the chief antagonist Cornelius Hicky). The creators at AMC (who had the rich legacy of The Walking Dead to live up to) shot the entire show inside a studio space in Budapest, Hungary-where a 1:1 scale ship’s model was built from scratch as a primary prop for the shoot. Every scene with water and ice is primarily CGI, yet the level of detailing and eye for aesthetics is such that nothing seems unreal- even for a moment of the entire 10 hour long miniseries. A stunning achievement in production design, along with the period perfect costumes, dialogues, music, combat weapons and general British naval ambience. On the writing front, the script is written to ensure that there is zero fall-back on standard horror tropes like Jump scares. Which makes for a more challenging experience, both for the creators and viewers (looking for the periodic Adrenalin rush in every episode). Overall, The Terror is a work of very high maturity but one that may not sustain all audience’s interest due to the grim nature of its ultimate conclusion. Watching experienced, weather worn, seafaring men succumb to scurvy, frostbite, delusional bouts of paranoia and even cannibalism may not be everyone’s cup of tea. While sea voyages have been part of common myth and imagination (courtesy Odyssey, Sindbad, Tintin) and sea adventures are celebrated in literature of the past centuries (courtesy Verne, Dafoe, Melville, Stevenson), The Terror is certainly a leap forward. A tale where the realism and myths of unventured sea voyages look at their own horrors without batting an eyelid.